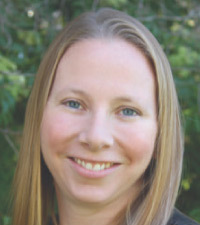 The Woodlands at Hillcrest (www.woodlandsathillcrest.com) has selected Megan Peck to be their new director of Health Services. Megan has had previous experience as both a nurse manager and director of nursing at other local communities. Megan received her Bachelor of Science in biology from the University of Arkansas, and her Bachelor of Science in nursing from Creighton University. She will lead the team of LPN’s, medication aides, and CNA’s at The Woodlands. The Woodlands prides itself on having a nursing staff 24/7. The Woodlands at Hillcrest is a new senior community at 9421 Gable Pines Rd., offering assisted living and memory care support. Stop by for an opportunity to meet Megan and see what The Woodlands has to offer to residents and families alike. Offering a nationally recognized management staff and well-trained caregivers, this facility is a place where every resident will feel a heightened sense of security and enjoy the ability to live as independently as possible. For more information, visit www.woodlandsathillcrest.com or call (402) 261-0261 and ask for Barb Tyler.